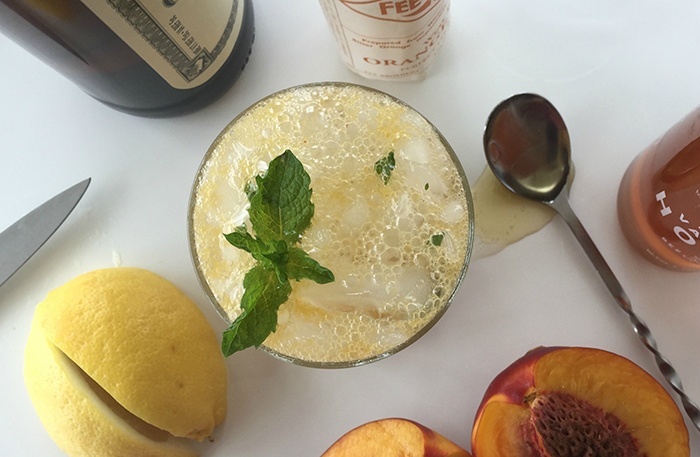 Muddle the peach slices, mint and raw honey in a cocktail shaker. Add the bourbon, orange bitters and lemon juice. Garnish with a mint spig serve.